Nothing says cold-weather comfort food quite like a hearty soup enjoyed in front of a fire. But topping it with crispy Prosciutto di Parma takes it to a whole new level. If you need a simple and delicious soup for a quiet night in or for the perfect sandwich combination, this creamy soup is the one to make. 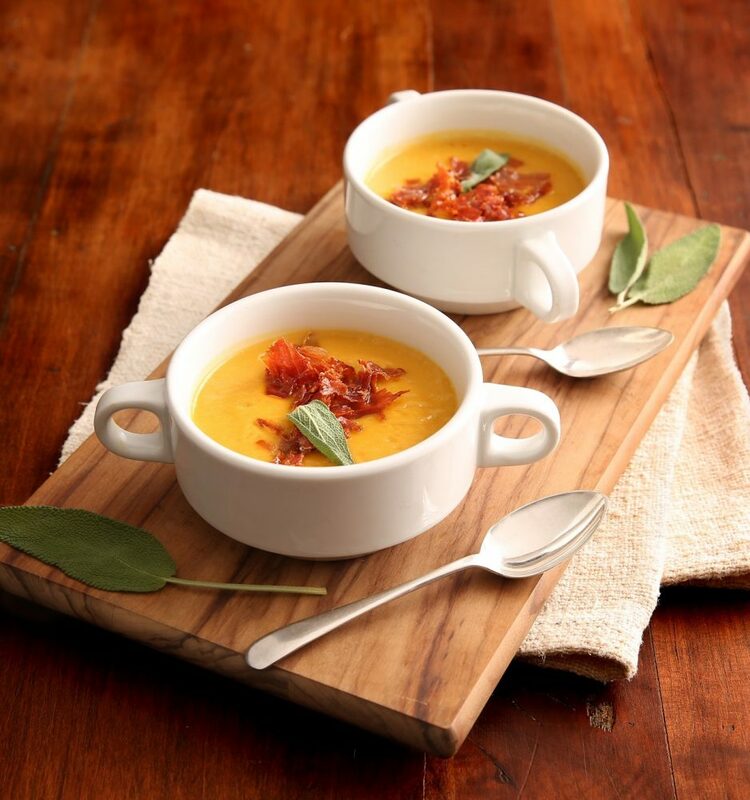 The sweetness from the butternut squash and apples is complemented by the crispy Prosciutto di Parma, while the sage and ale add the perfect bit of warmth. Garnish with your choice of a drizzle of sour cream or apple slices for even more flavor your taste buds will thank you for. Heat saucepot over medium-high heat and cook chopped prosciutto until crispy; reserve. Melt butter in same saucepot and cook fresh sage sprigs until crispy; reserve. In same pot cook butternut squash, apple, carrot, onion, garlic, chopped sage leaves, salt and pepper until tender crisp. Add broth and bring to a boil. Reduce heat and simmer until vegetables are very tender, about 20 minutes. Using an immersion blender, puree the soup mixture. Stir in half and half, beer and cheese and cook over medium heat until cheese is melted and soup is heated through. Garnish with reserved crispy prosciutto, sage sprigs, and apple slices or sour cream drizzle, if desired.